While fungus is the cause of ringworm, there are a few different names used to describe where the ringworm appears on the body. When ringworm is found in the scalp it gets the name “tinea capitis”, which is one of the trickier forms of ringworm infections to treat. Tinea capitis is more common in men than women and it is normally found in children between three and seven years old. It thrives in the most moist and warm areas and is contracted by the sufferer scratching their injured or scratched scalp, by them having poor hygiene or by them having wet skin for a length time period. This type of ringworm can easily be spread between people; typically through sharing clothing, combs or hats. People of an African descent have been found to have an increased risk of getting this particular infection. 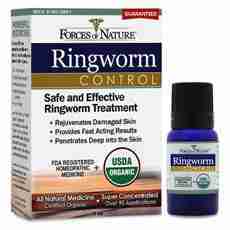 Ringworm could permeate just a small section of scalp or the entire area depending on the severity of infestation. Swollen neck lymph nodes, Low-grade fever, Itching, Pus-filled sores, Scaly skin that's swollen or red and Bald areas with small black specs. Although the shape of the infection is normally the typical round shape, this is not always the case. A doctor should be able to diagnose this infection by carrying out an examination of the area in question. They might make use of what's called a “Wood's lamp” to confirm a diagnosis. Swabs may also be taken and sent off to a lab to be analyzed. If your doctor's found that you do have Tinea Capitis, they'll usually recommend or prescribe a medicated shampoo that includes ketoconazole or selenium sulfide to treat the infection. As well as removing the infection, these shampoos are also helpful to prevent it from spreading. You'll probably be required to use the shampoo around 3 times a week and it will take about 5 minutes to apply each time. Results can take up to 4 weeks to show any effects. If the infection is very severe or doesn't respond to topical solutions, you could be prescribed something like griseofulvin, which is an oral medication that works by penetrating the hair's shaft. Although this medication has been found to be very effective, it can still take around seven weeks to start noticing the effects. It's worth bearing in mind that this may have some poor interactions with other medications or possibly lead to side effects such as liver toxicity.